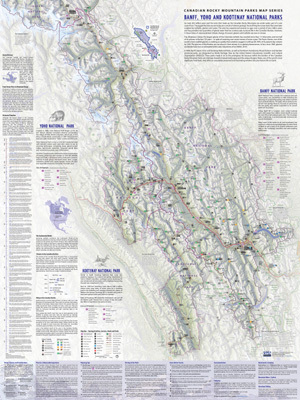 Click map image to zoom! 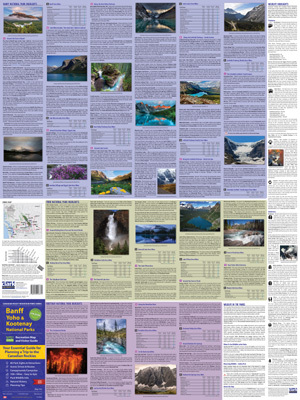 Banff, Yoho and Kootenay National Parks published by Clark Geomatics is a full-colour double-sided topographic map and guide — essential if you plan to visit these beautiful parks. Dimensions: 27"x36" folded to 4"x9". Tear-resistant and waterproof!